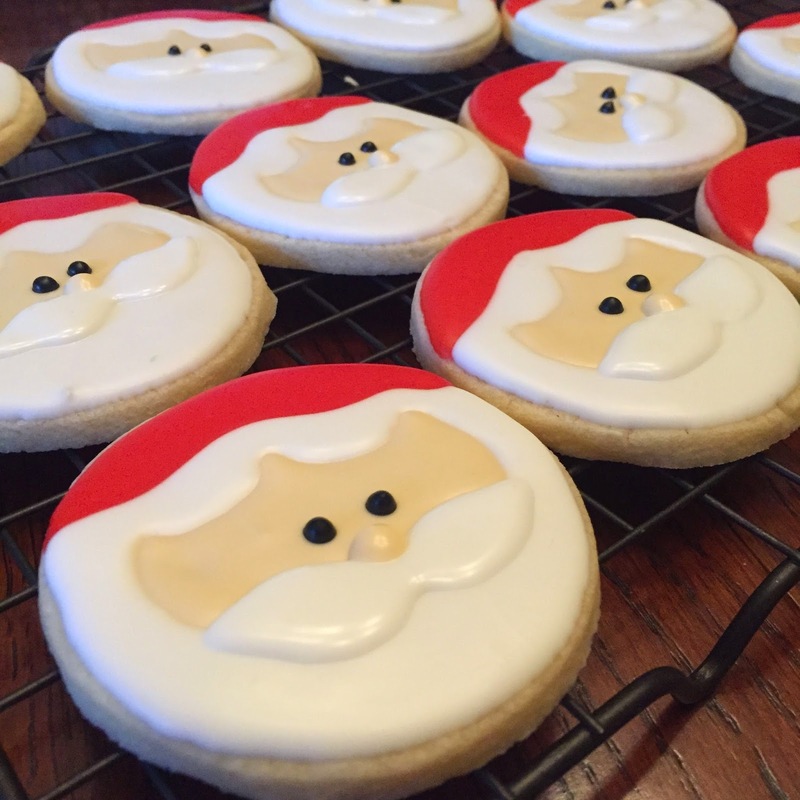 want to make some quick santa cookies in time for the big day? 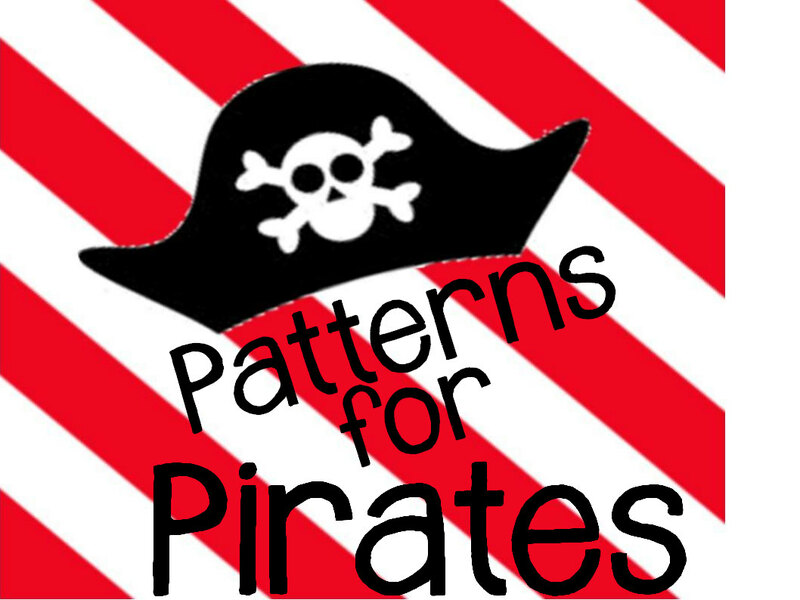 these are pretty easy to throw together, if you need a fun little treat to serve up. 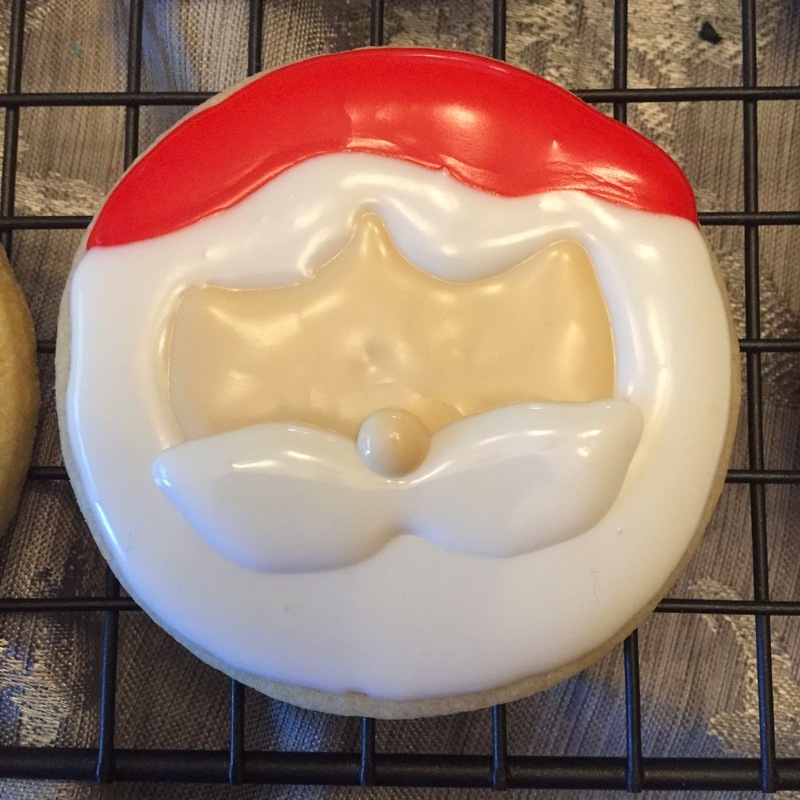 you'll need some simple round sugar cookies and decorating bags with #2 or #3 tips filled with red, ivory, white, and black frosting. 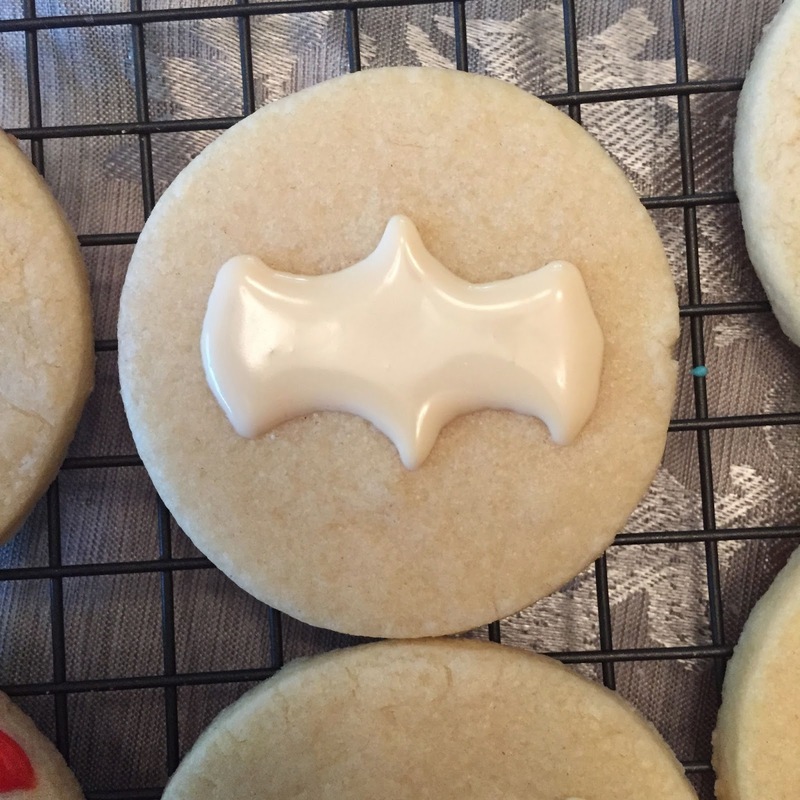 start with the ivory frosting and draw on this weird looking batman-ish shape. 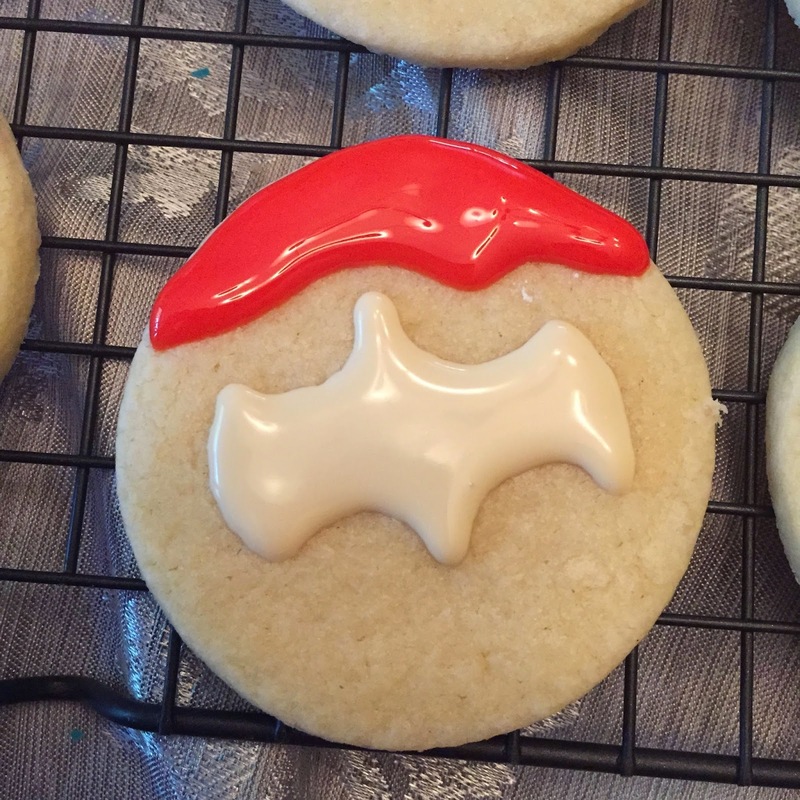 take your red frosting and add on a hat. wait about ten minutes and then fill in the rest with white frosting. give it another 20 minutes, and then draw on a mustache. 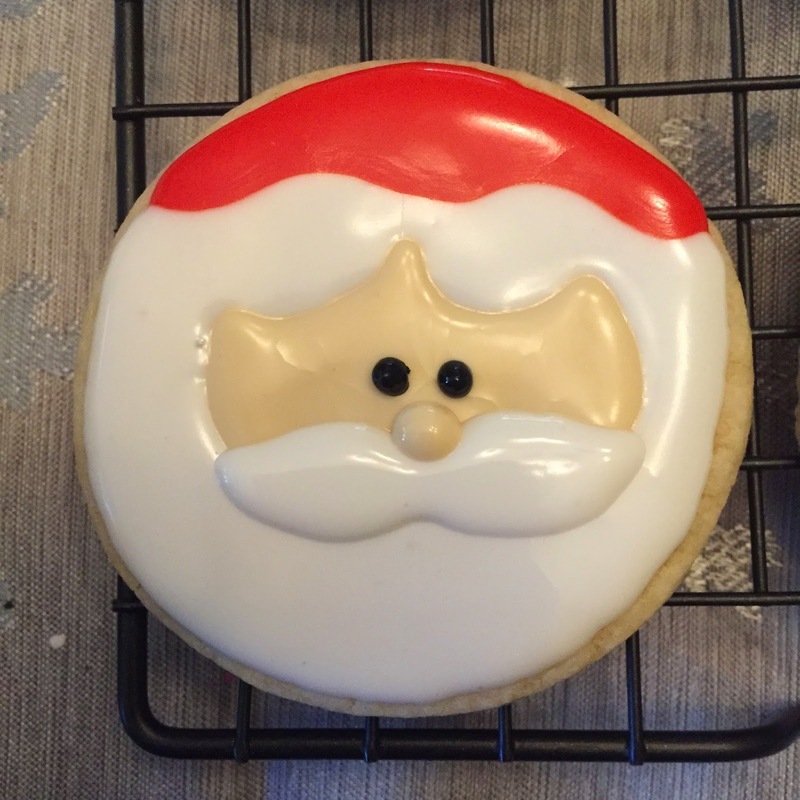 next, take that ivory frosting on again and dot on a nose. last but not least, give santa the gift of sight. voila! all done. 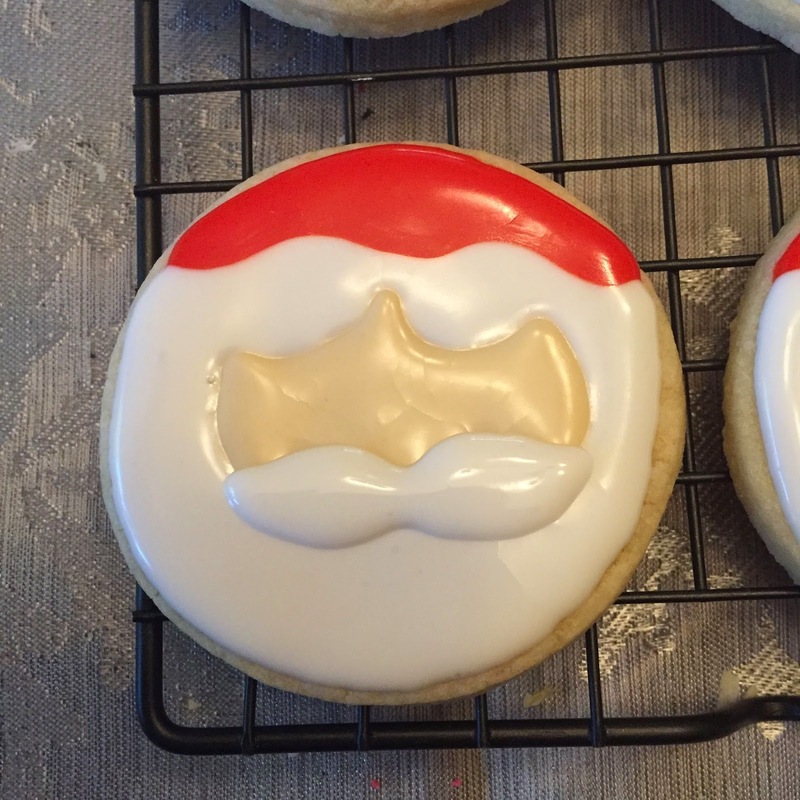 now you have an army of santas to usher in the holiday. 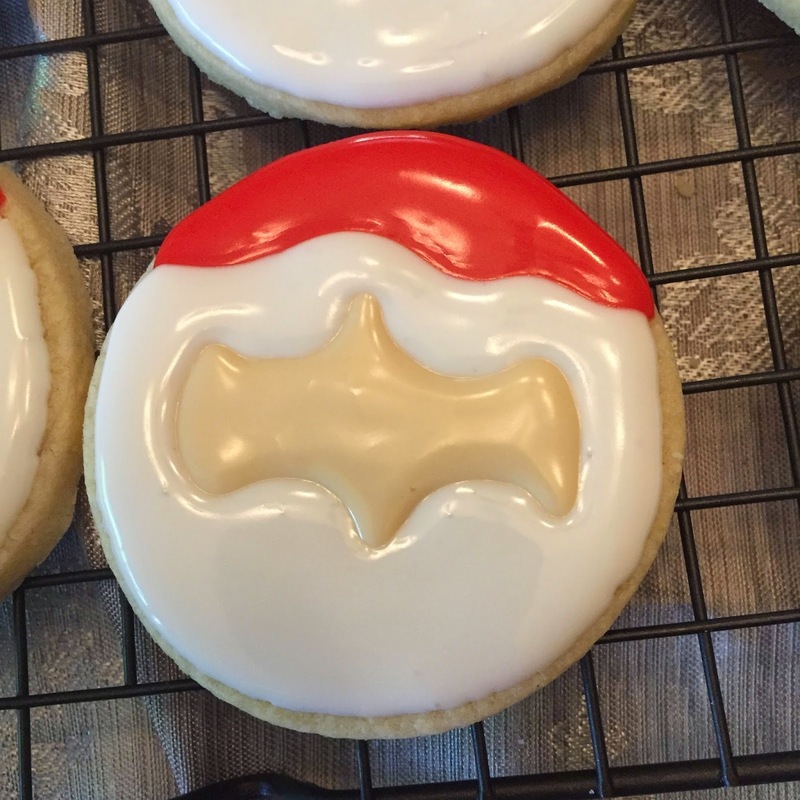 I envy your cookie skills!